Following 18 months of planning which involved overcoming a number of obstacles; including removing over 1000M3 of earth & the re-location of a buried electricity cable work eventually got underway on our new factory extension. The new side extension to our existing factory has been designed to maintain the level of the existing floor with a large open access. In basic terms it will provide up to 260M2 of seamless additional manufacturing space which represents an increase of around 15% This will allow for the placement of additional conveyor lines thereby meeting the increased demand for the assembly of Customers' products. Although a typical factory building or 'shed' in terms of construction some considerable thought has gone into its design to ensure it complements the existing main building. A two-tone colour scheme along with attractive soffit & guttering detail will enhance the overall look of the extension. It is anticipated that our new factory building will be ready for occupation by the end of 2017. Following several years of excellent & reliable service it was time to replace our aging fleet of Curtain-Sided delivery trucks. Three new gleaming Volvo FL240 vehicles arrived on the 1st July resplendent in their company livery. Our decision to continue with Volvo was based on a number of factors. 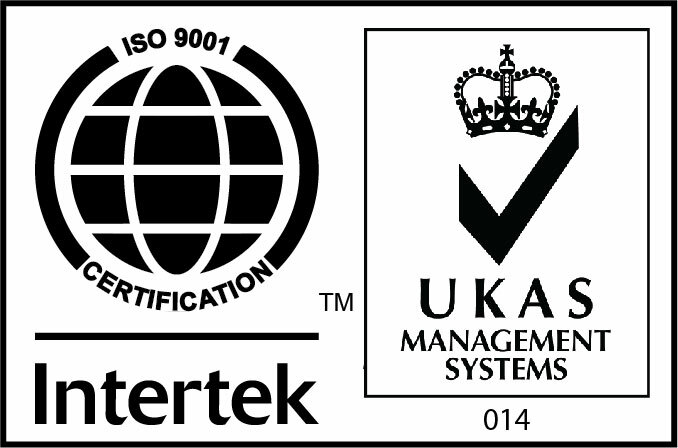 Their performance & reliability had been well established over many years of service but it was now important to embrace the increased economy & low emissions being offered by the latest generation Euro 6 technology. Supplied by our local Volvo commercial dealer based in Ely, Cambs we have continued a relationship which goes back many years. Their ability to service our vehicles overnight means that the trucks can spend more time on the road servicing our customers' requirements. Although the new vehicles have the same carrying capacity as the previous ones they all have one major specification upgrade; In order to improve our delivery performance to smaller accounts, some of which do not have any means of mechanical unloading or are located in awkward areas a large cantilever tail-lift has been fitted. This has helped increase the speed of unloading for our customers & assisted our drivers in fulfilling their daily schedule. £150K Investment in CNC Vertical Saw! Our investment in CNC technology continued into April 2016 with the further acquisition of a CNC Vertical Saw. Although not planned, the opportunity to purchase this German-built second-hand example was too good to pass by! 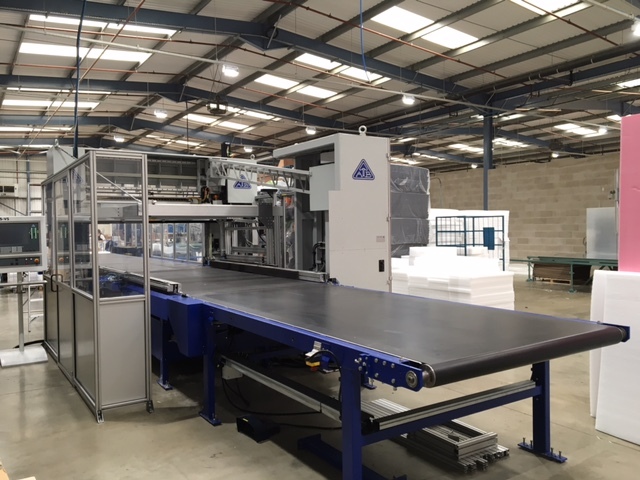 Believed to be the only model of its kind currently operating in the UK, this machine will transform the way Suttons converts its foam sheet raw material. Standing 14m in length this impressive machine can process foam sheets within a large maximum working area of 1550mm x 3300mm. Combined with a fast Cutting Speed of 80m per minute and a Twist Knife Angle of /- 270° this CNC vertical cutting machine can cut complex shapes and acute angles with great accuracy. Combined with new CAD design software, we will be able to increase productivity and improve efficiency whilst minimising process waste. Increased automation will also mean a significant reduction in production tooling leading to lower costs for our customers. Following many years of sub-contracting the machining of foam components to external suppliers, Suttons took the decision in late 2015 to finally bring this capability in-house and purchase our very own CNC Routing Machine. With great excitement March 2016 saw the arrival from Germany of a new £60K Twin Head, Double Axis machine with an integral vacuum bed system capable of producing high precision foam components up to a maximum overall size of 600mm x 800mm. We had always possessed the required design knowledge and foam material expertise but had chosen not to invest in the direct manufacturing of these products, preferring instead to develop our core foam fabrication business. However, things change and with the increased availability of new foam materials in the market it just seemed the right time to 'fly our own wings' and widen our product offering. In basic terms CNC technology allows Suttons to automate the manufacture of foam components, thereby offering more complex designs with an 'engineered appearance'. 'Precision & Quality of Finish' really are the key benefits to the customer who is looking for a perfect fit with great presentation. 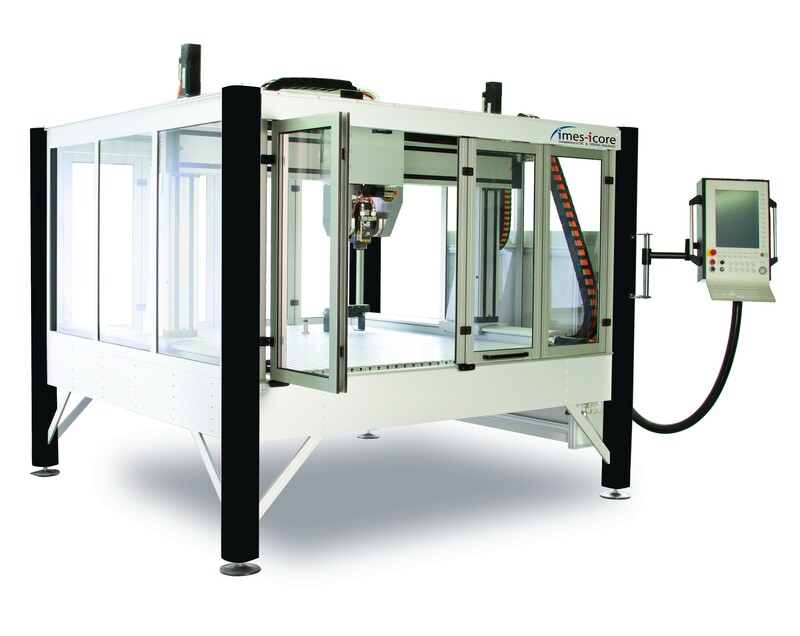 If you would like to discuss a new CNC machined project and explore this technology further, then please visit the dedicated CNC Foam Routing page on our website and send us an email with a brief description of your requirements. Suttons becomes part of the Tri-Wall Europe global fabricator network. For over 60 years, Tri-Wall has been synonymous with heavy-duty, performance packaging for the automotive, aerospace, military and many other medium and heavy industry sectors worldwide. Tri-Wall has established a global network of fabricators to support their manufacturing plants across the world. Each fabricator is checked and approved to ensure that they have the capabilities to manufacture to the same exacting standards as Tri-Wall themselves. Suttons had been a customer of Tri-Wall Europe for many years, purchasing and converting a wide range of heavy duty grades to fulfil our own customers' heavy duty corrugated requirements. 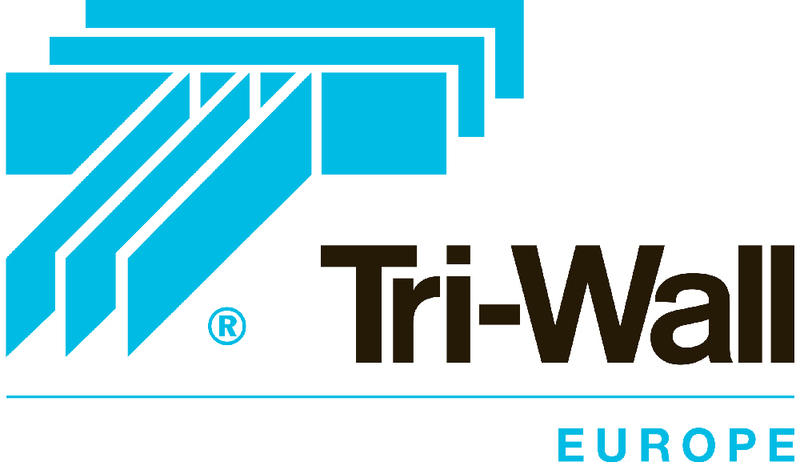 Early 2016, we were invited by Tri-Wall to become an approved fabricator and part of their global network. We were delighted to receive this prestigious invitation and readily accepted the offer. Since becoming an approved fabricator, we have worked on a number of projects together, many of which have come to fruition, with Tri-wall manufacturing the heavy-duty raw material and Suttons managing the product manufacture and supply logistics. The overall benefit to our customers is that we are supplied with high quality fibreboard which we convert into bespoke heavy-duty cartons and fittings that are designed specifically to protect their products and meet their export packaging requirements. These products, although made locally, are backed by a quality global company, synonymous with heavy-duty, high performance packaging.